I love to talk about cellular signal boosters because they’re the one thing people should have, but don’t. I mean, everyone has a phone and everyone uses it constantly. Something ridiculous like 95% of people experience bad call quality or slow data, every single day. There’s a simple device that costs less than even a medium-priced new cell phone and it works to make all cell phones better. It will last you 3-5 times longer than you keep your current phone, too. What’s not to like? Cell boosters are extremely intelligent little boxes. They keep two-way communication between all the phones they’re connected to and the closest cell tower. By putting a big antenna high up on your home’s roof they get signals your phone couldn’t get. Those signals are amplified and rebroadcast to the phones inside your house. At the same time, the booster’s indoor antenna receives transmissions from your phone and rebroadcasts them out. The whole thing happens so quickly that you don’t notice a lag. In the meantime there are safeguards to make sure the signal isn’t overamplified. Notice nowhere in that paragraph did I say, “it connects to the internet.” That’s because it doesn’t. 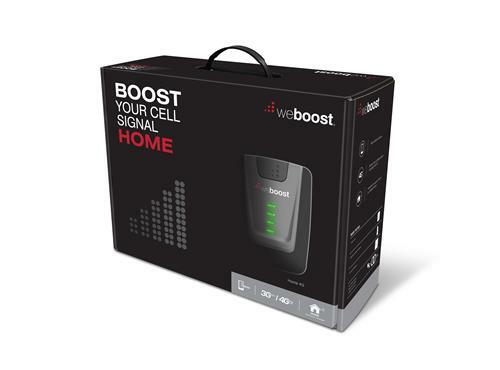 With the exception of a few high end units that allow cloud-based monitoring, no cell booster has ever or will ever connect to the internet. That’s not its purpose. Technically, if it connected to the internet for the purpose of making calls that way, it would be a microcell. You’ve probably seen these things in people’s houses because cell carriers will give them away to people with poor service. The device acts like a mini-cell tower, connecting to cell phones and sending the calls through your home internet connection. That sounds great except usually microcells only work with one carrier. What if one of your friends has a different carrier? It means he won’t get reception. A cell booster works with all carriers for voice and almost all for data. Would you want your booster to connect to the internet? I’m not sure why you would. I suppose it would be neat if it could use the internet as some sort of failsafe in areas where reception is really sketchy. It’s true, if there’s no outside cell service, a booster won’t help you. However I don’t think you’d need an internet connected booster for that. Most phones today support Wi-Fi calling which is just as useful as a microcell. Wi-Fi calling is a good backup, although everyone who uses it needs to connect to your home Wi-Fi. I love cell boosters because, honestly, they work. They are really not that expensive and they last for a long time. You can find all of the top brands at Solid Signal, and if you aren’t sure which one to buy, give the experts a call. The number is 877.312.4547 and you can reach us during East Coast business hours. We’re here to make sure you get what you need!